What is Made in the Middle? We are proud to call Kansas City home. 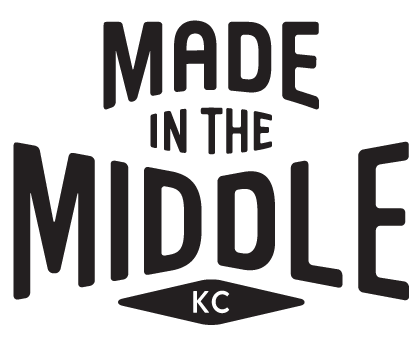 Made in the Middle is a place that is built by artists, designers, makers and doers in Kansas City. We feature creatives who are taking risks and making what they love to make. We hope to educate, inspire and bring awareness to the creative talents in our home, Kansas City. A new feature will be posted every first and third Monday of the month. Made in the Middle is designed and managed by the design and branding studio, Carpenter Collective. All artists and makers featured on Made in the Middle are submitted or suggested to our team. To recommend a maker, please email us here. We can’t discover and explore new talents without your help. All Made in the Middle specific photography is by the talented, Travis Young and Bethany Hughes. Photography specific to each Maker feature was submitted by each individual maker.